With summer vacations fast approaching it might be time to consider updating your Paid Time Off (PTO) policies. Most companies have some form of paid sick leave, paid vacation days, and paid holidays, not to mention required leaves under FMLA and other federal or state laws. PTO is a great benefit and will help you attract and retain employees. How can you make it easier to track and manage? Consider having a simple policy that only offers paid holidays and PTO, or you can also just offer PTO. After 30 years developing and managing benefit policies, I’m a believer in just offering PTO, unless there is a state-specific requirement to also provide sick leave or other mandated paid leaves. As an employer, do you care if employees need the day off to take the dog to the vet, stay home with a sick kid, require a mental health day or want to celebrate a holiday? The result is they aren’t working and that’s what needs to be managed. How many PTO days I can afford to offer my employees, based on my personal business philosophy and my business’ financial health? Do I want to offer PTO to all employees or only full-time employees? Do I want to allow for accrual of vacation time, or just grant the time? Is the number of PTO days competitive in the local labor market? Are there state laws to consider? PTO is a benefit and there is no federal regulations that require private employers to offer PTO. Some states do, however, have requirements regarding PTO, usually pertaining to mandated sick leave. Be sure to check your state’s requirements before finalizing your policy for PTO. I’ve managed PTO-only programs, vacation days & sick time leave programs, and a combination of all PTO, vacation leave and sick days. 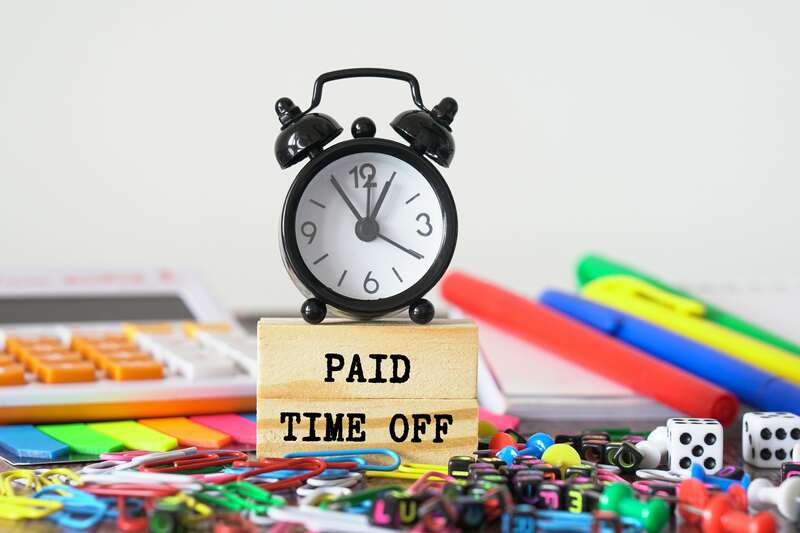 PTO-only policies are always the favorite with the employees, and PTO policies are less abused with frequent unplanned absences, sick people working when they should be at home and less-than-truthful reasons for needing time off. KPA clients can request additional sample PTO policies or for their state’s PTO regulations by emailing [email protected]. For more information on PTO programs, including implementation best practices, download our free recorded webinar “PTO Programs, Panacea or Problem?” at https://kpallc.wpengine.com/insights/webinars/.